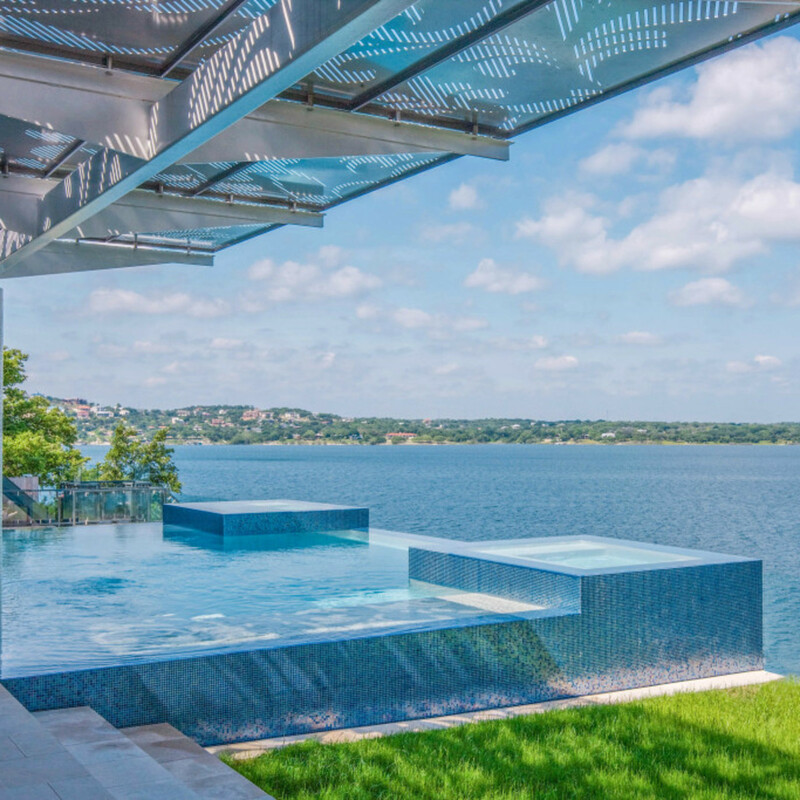 Sitting 230 feet above Lake Travis is the statuesque Acqua Villa estate, owned by Austin entrepreneur and philanthropist Milton Verret. 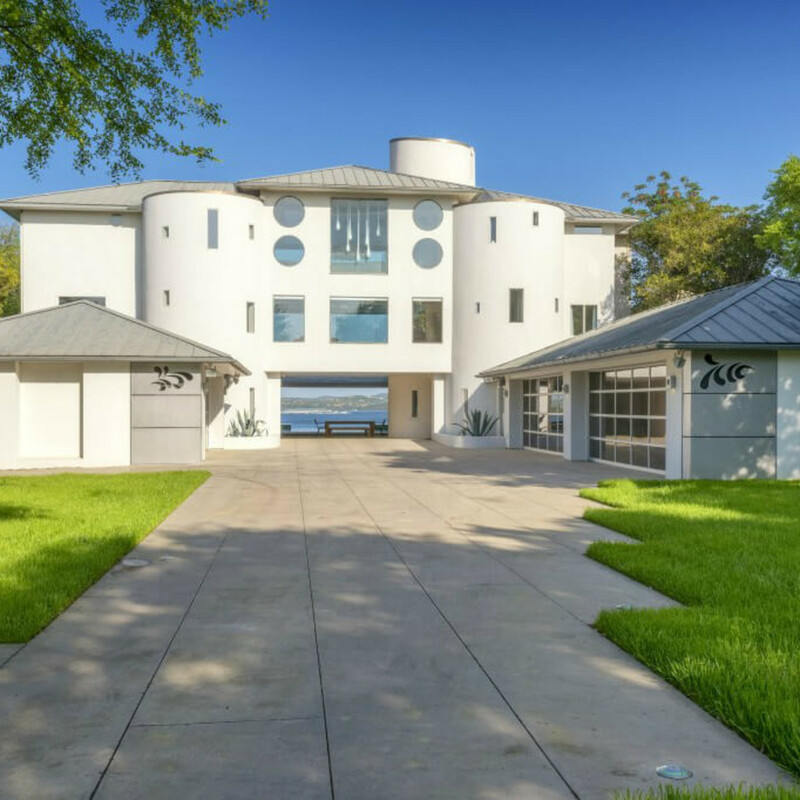 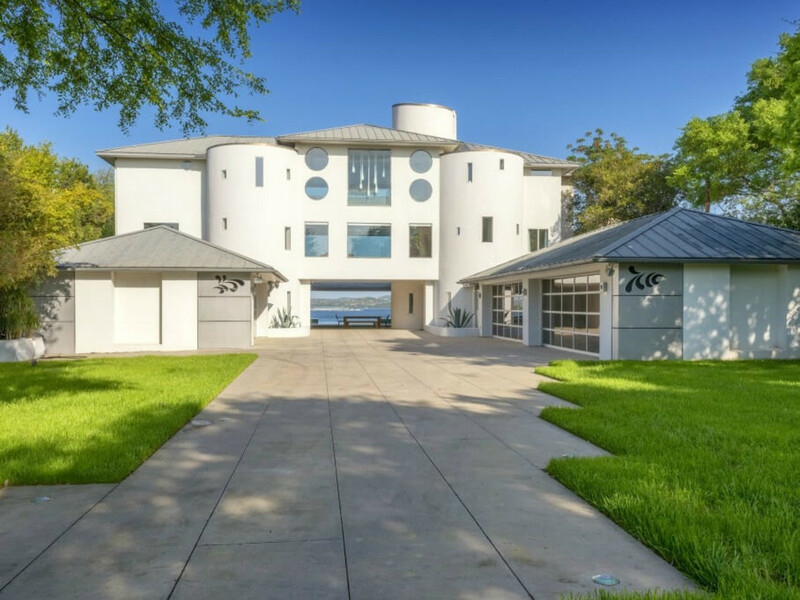 The 8,800-square-foot waterfront home is for sale, appealing to those with an affinity for contemporary design — and a large enough pocketbook. 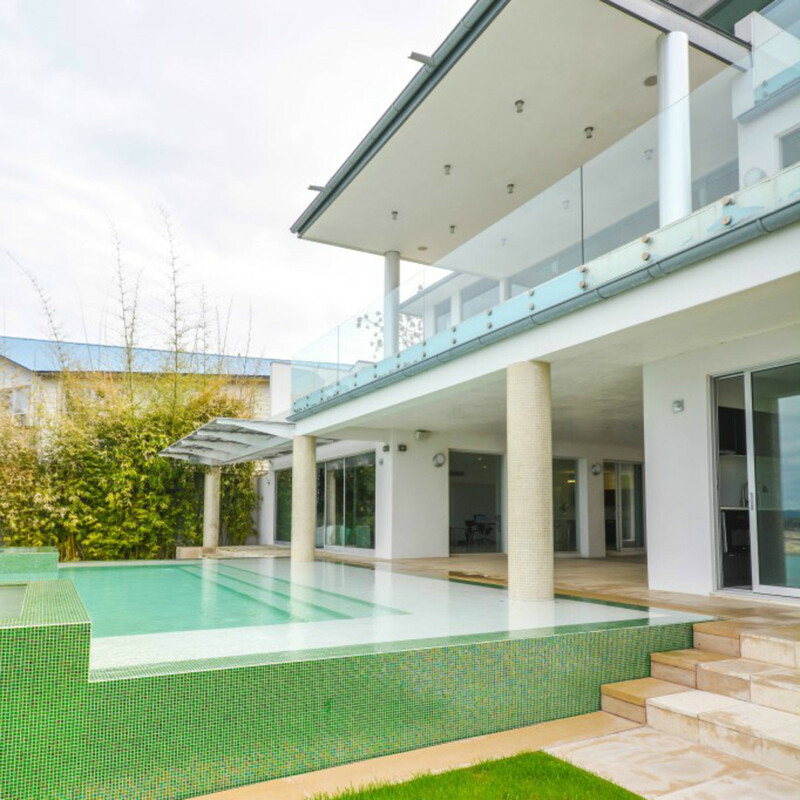 The three-story mansion, accessible by stair or elevator, features five bedrooms and eight bathrooms with additional guesthouse accommodations. 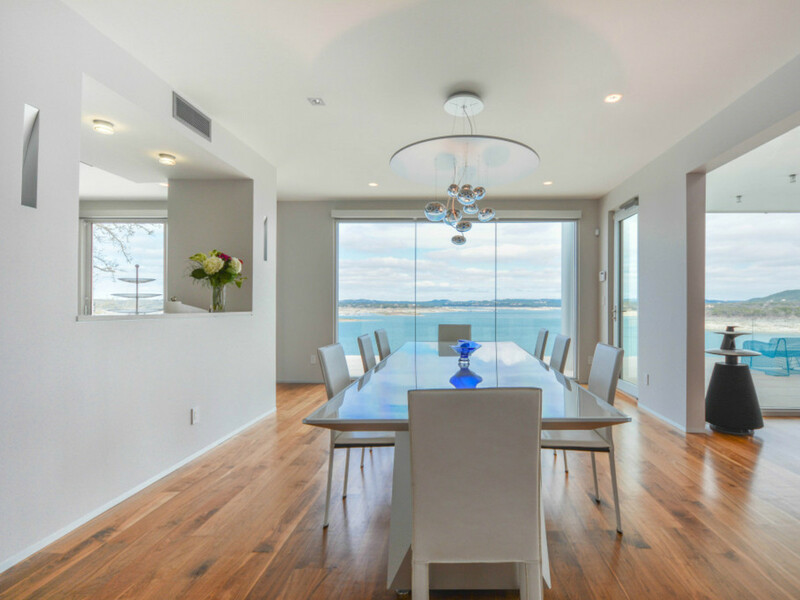 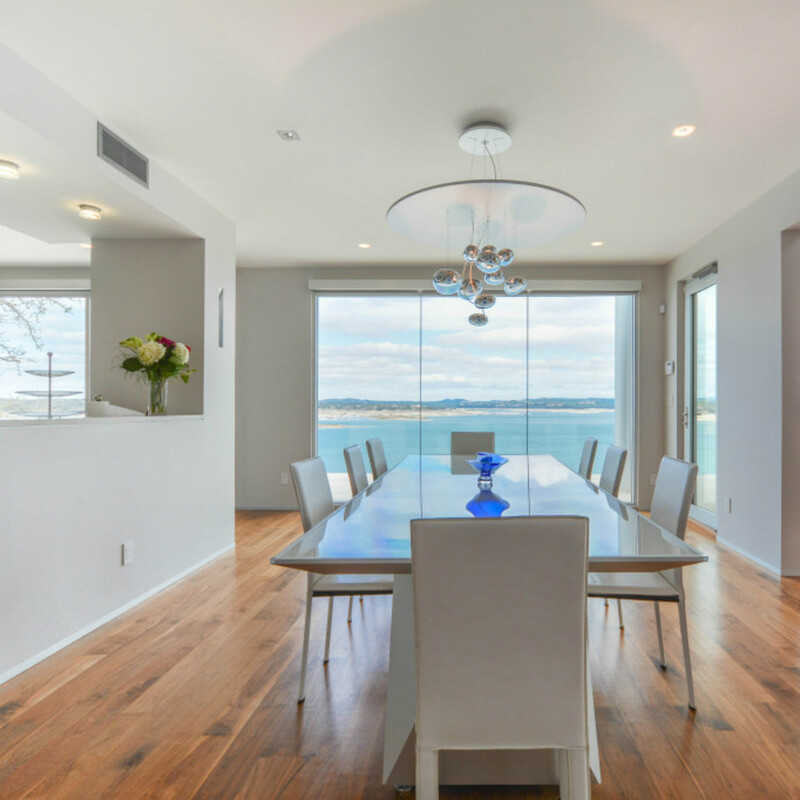 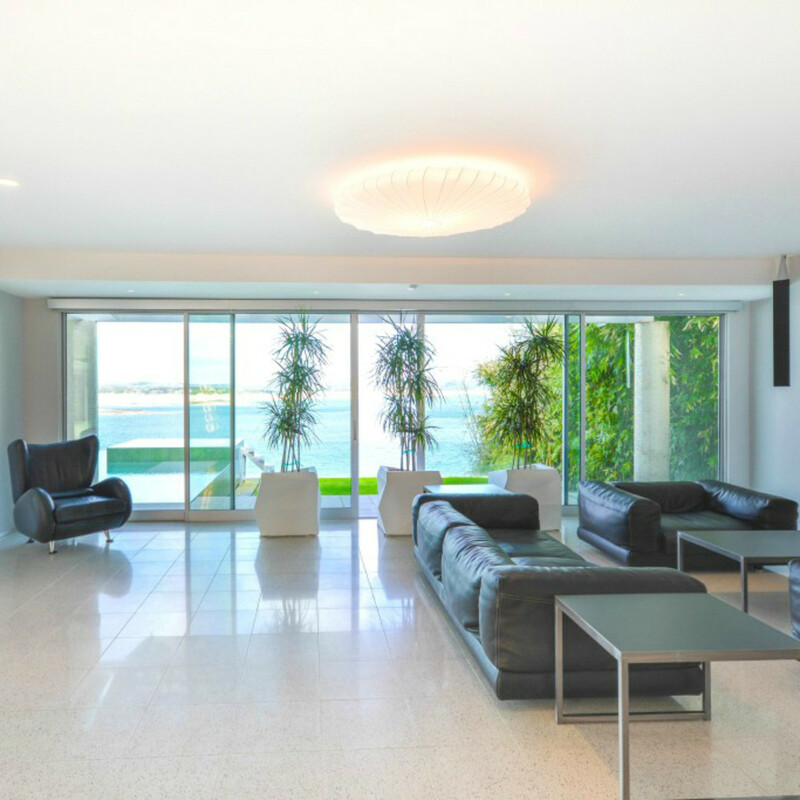 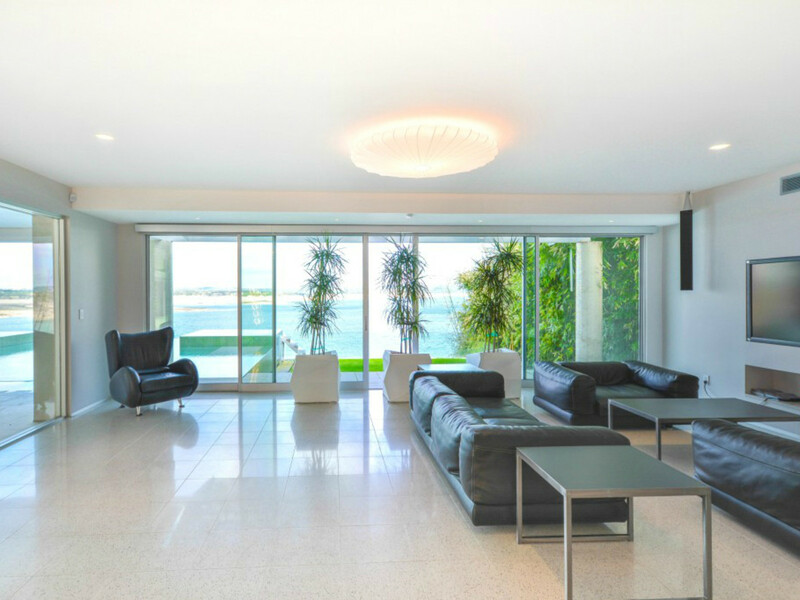 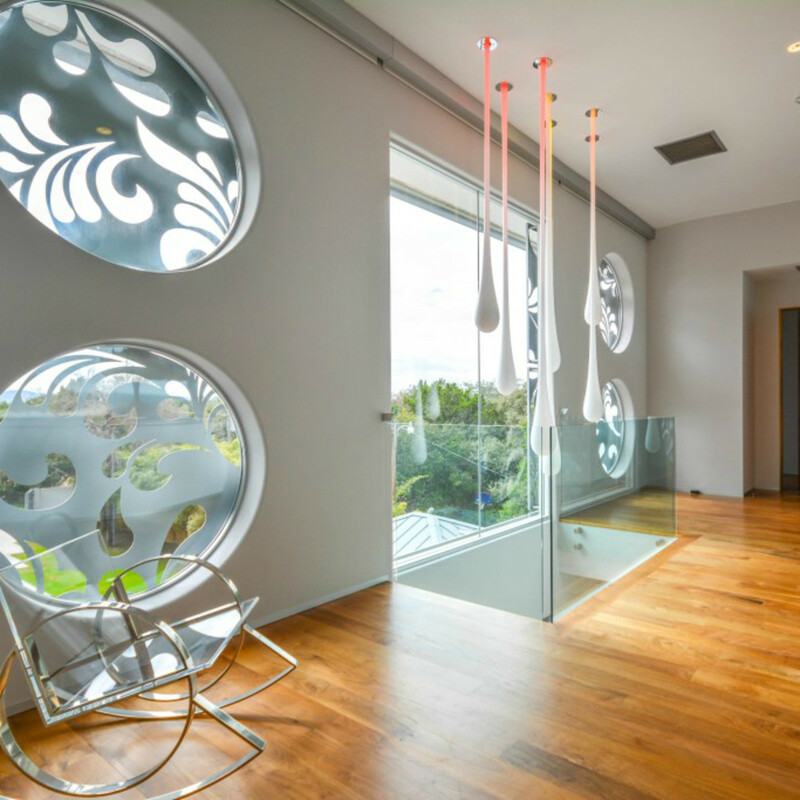 Panoramic views are highlighted throughout the home via stunning floor-to-ceiling windows. 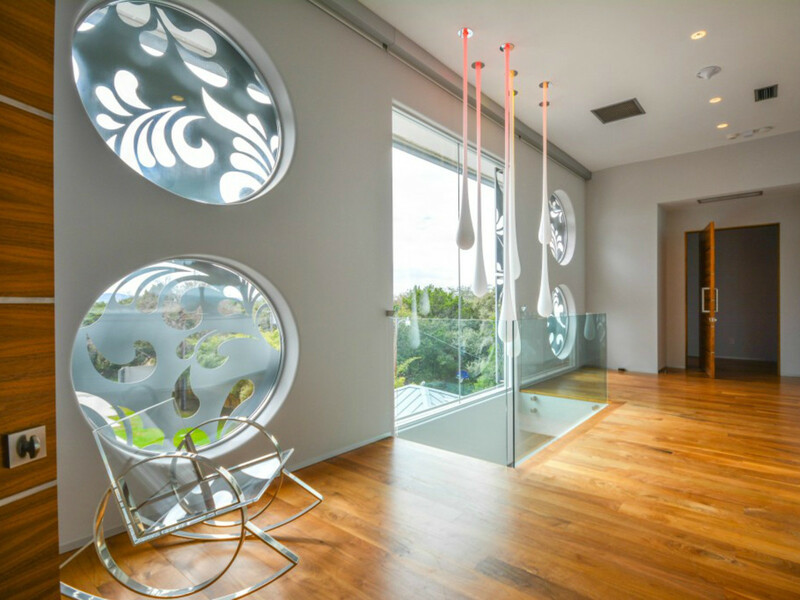 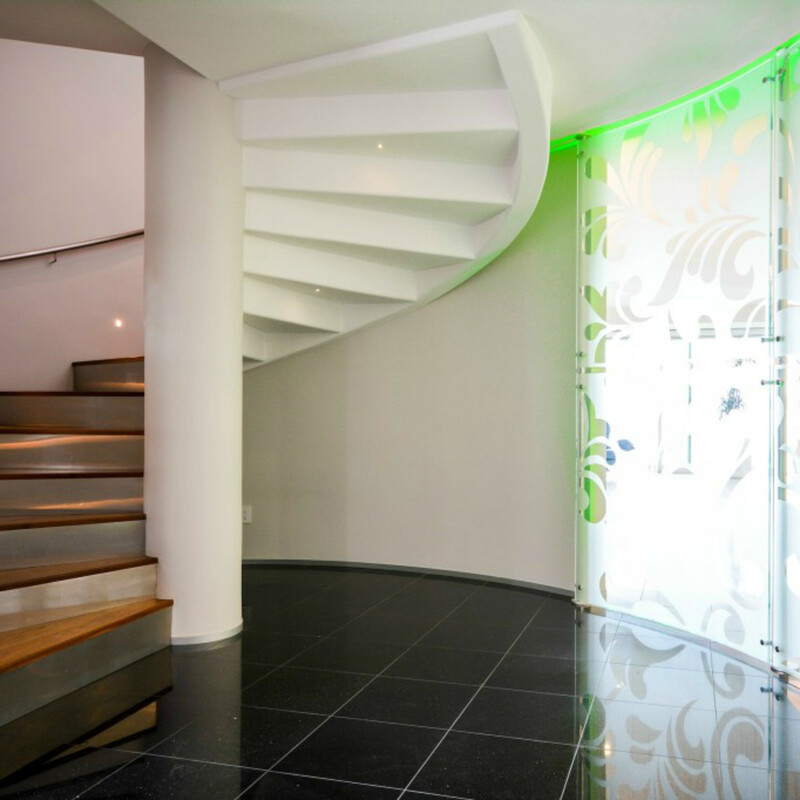 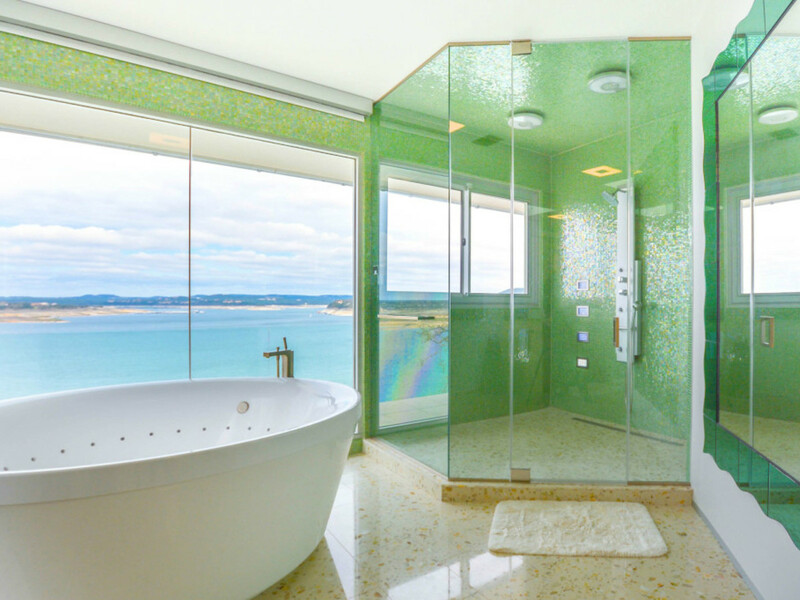 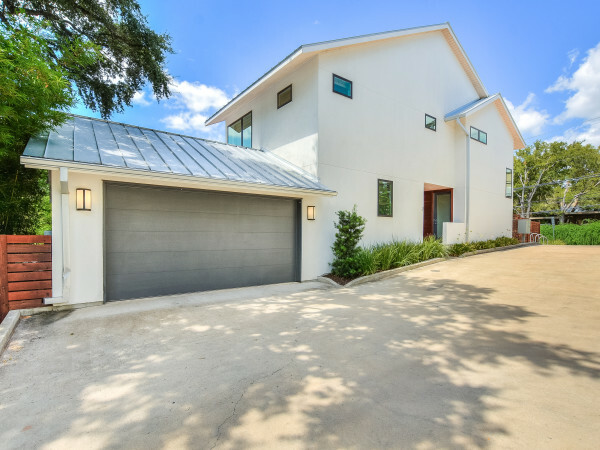 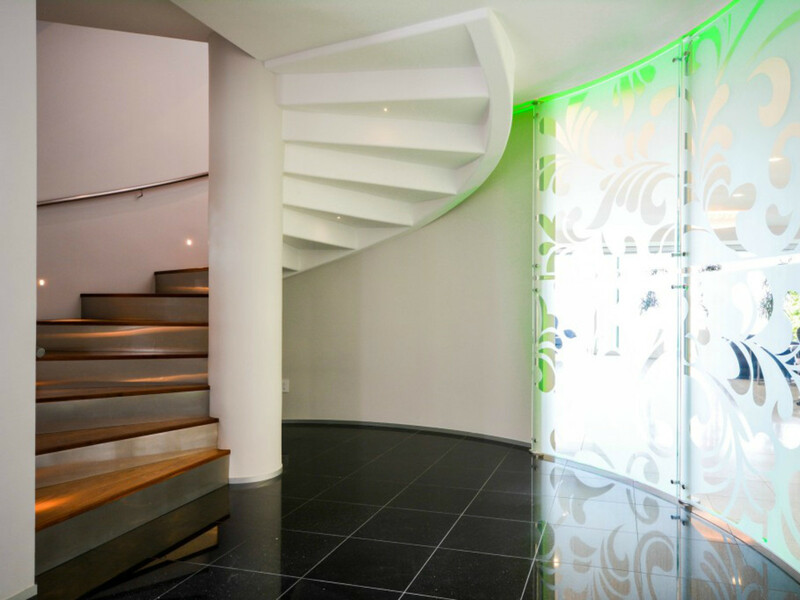 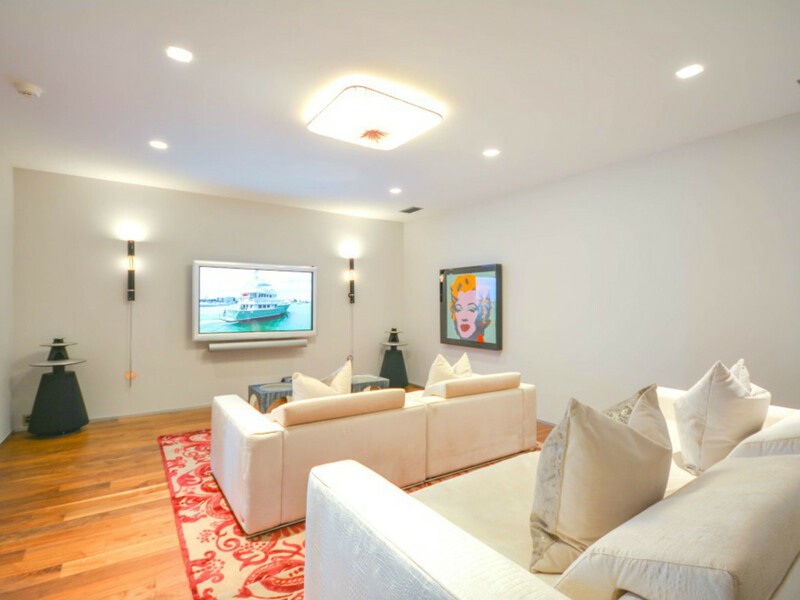 Designed by award-winning architect Winn Wittman, the luxurious property utilizes green technology for energy efficiency. 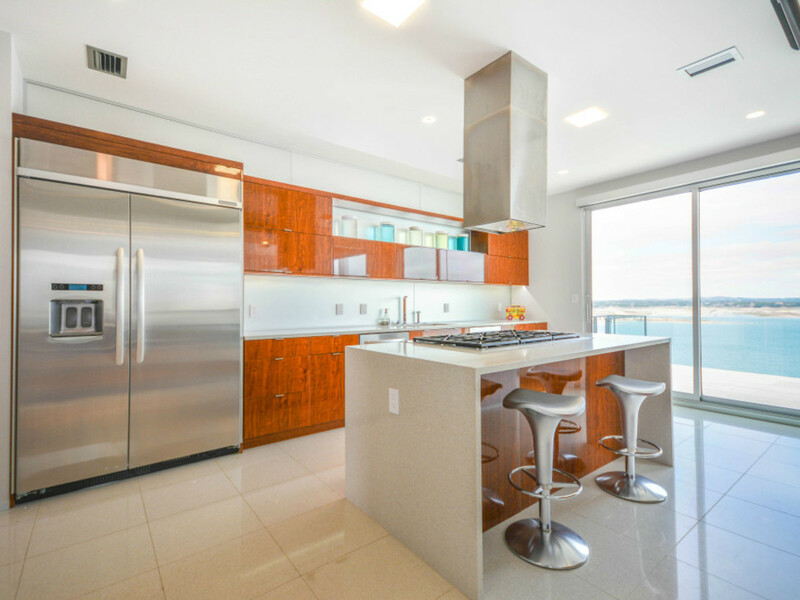 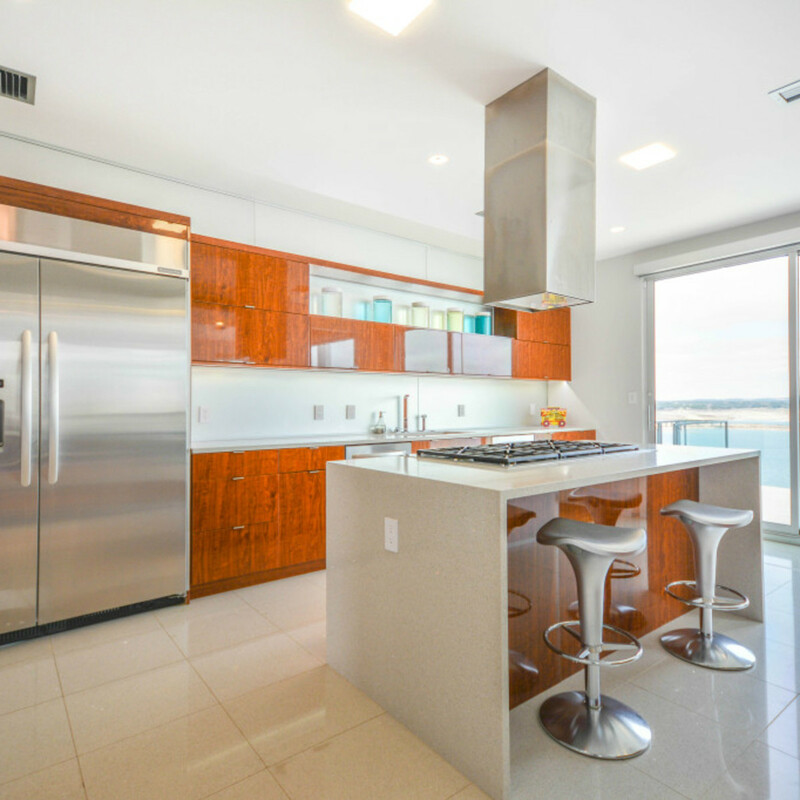 A gourmet kitchen with caesarstone worktops and floors, stainless steel appliances, and bar opens up to one of five living areas, which boasts towering ceilings and Zeppelin chandeliers. 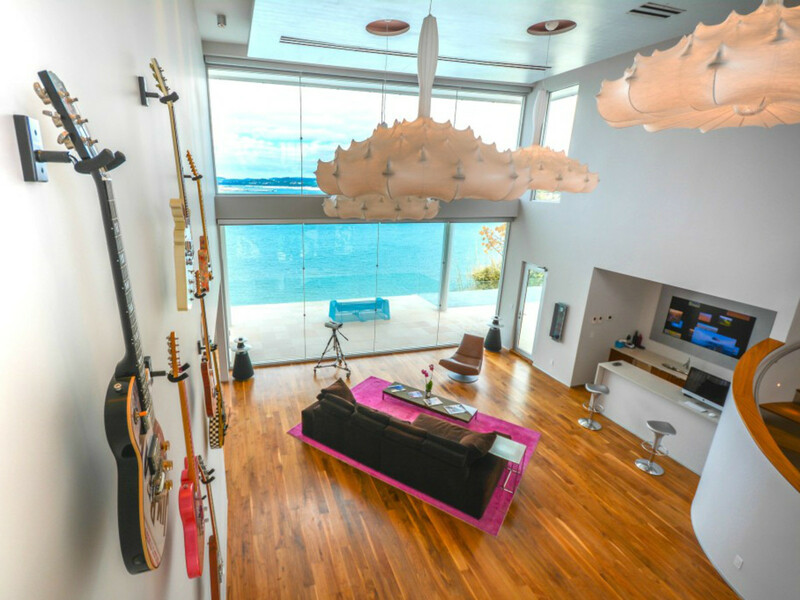 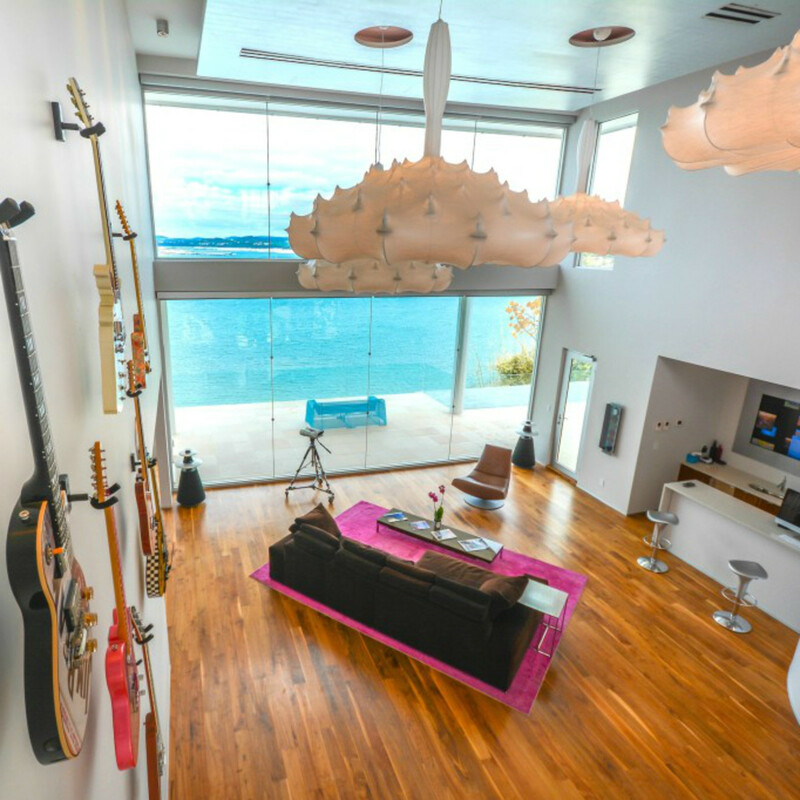 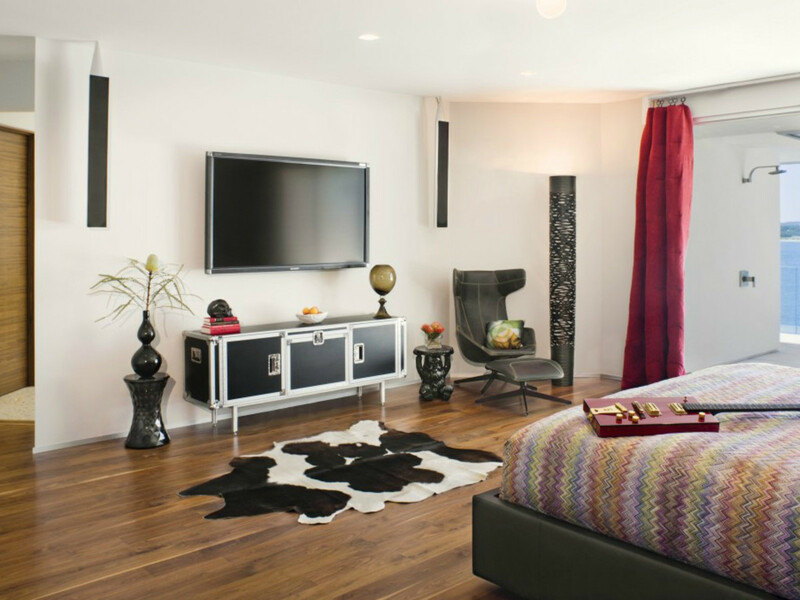 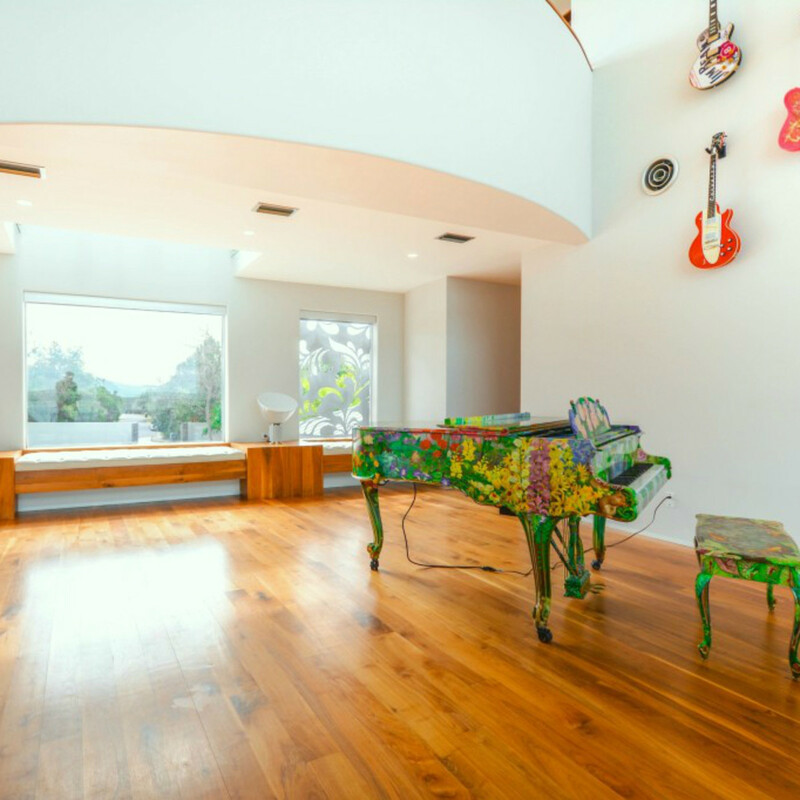 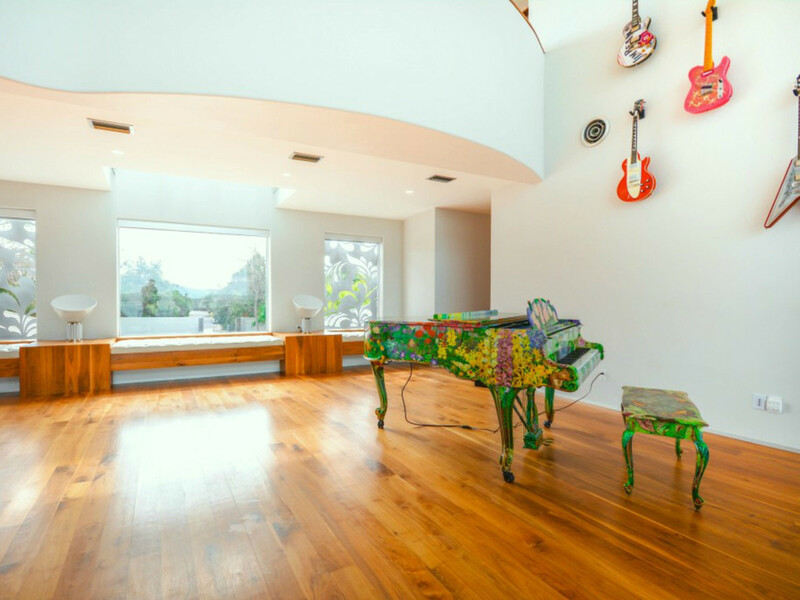 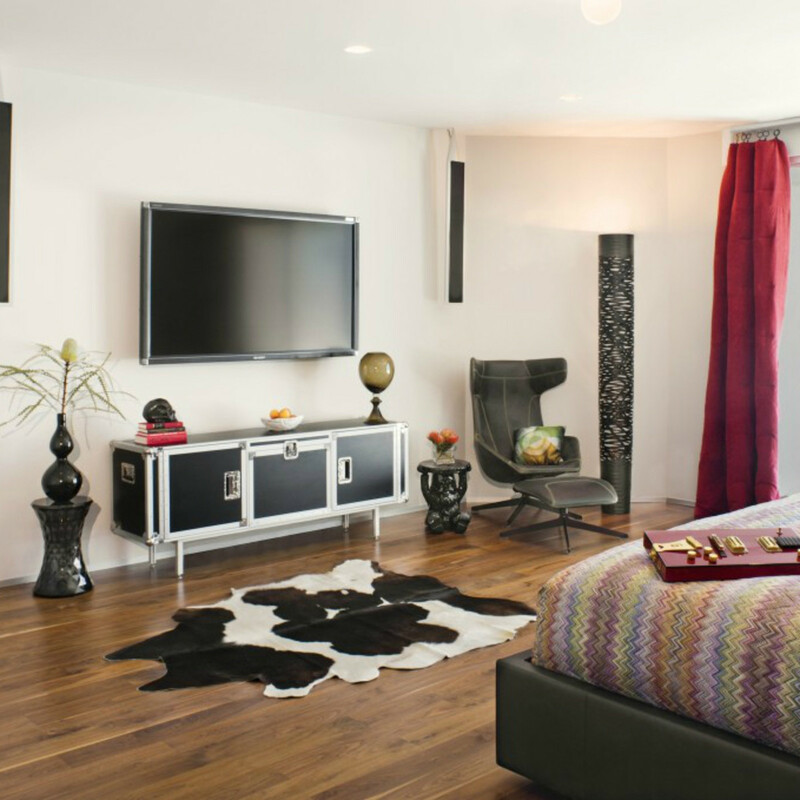 One wall is filled with electric guitars with a custom-painted Steinway piano below. 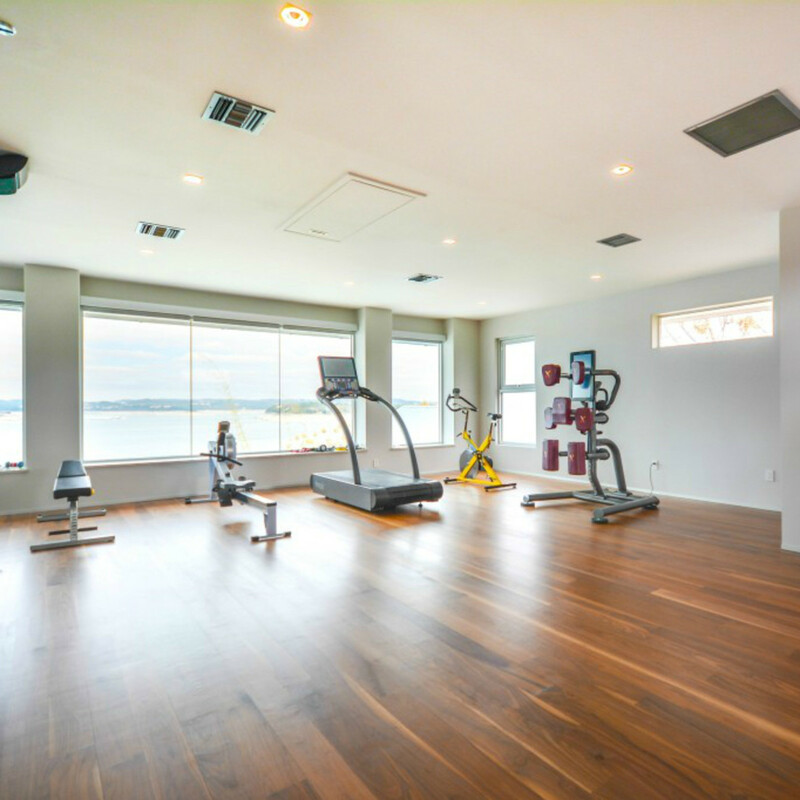 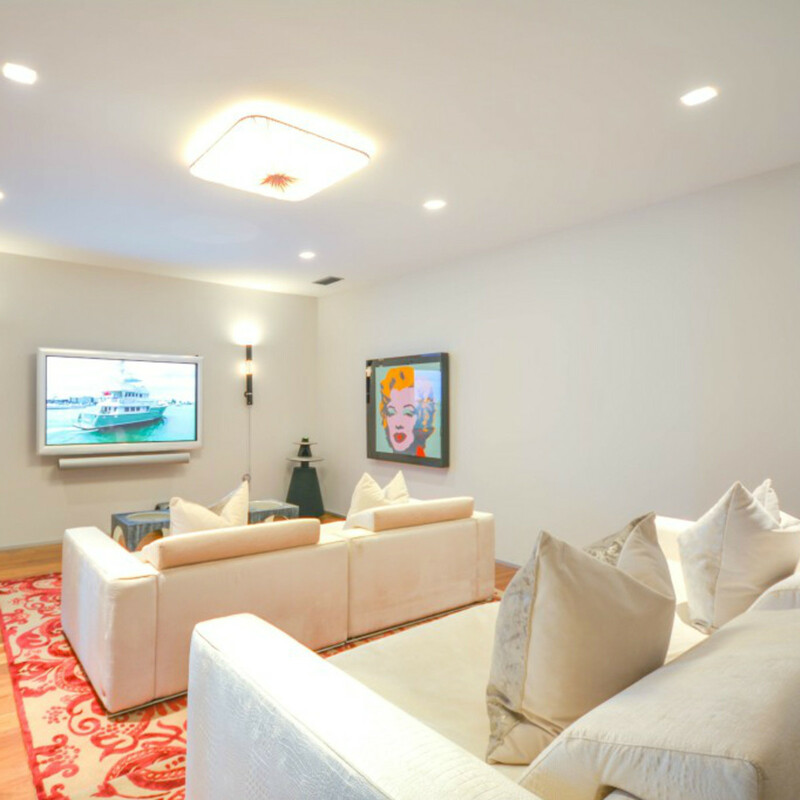 Among the other living areas are a workout facility and home theater. 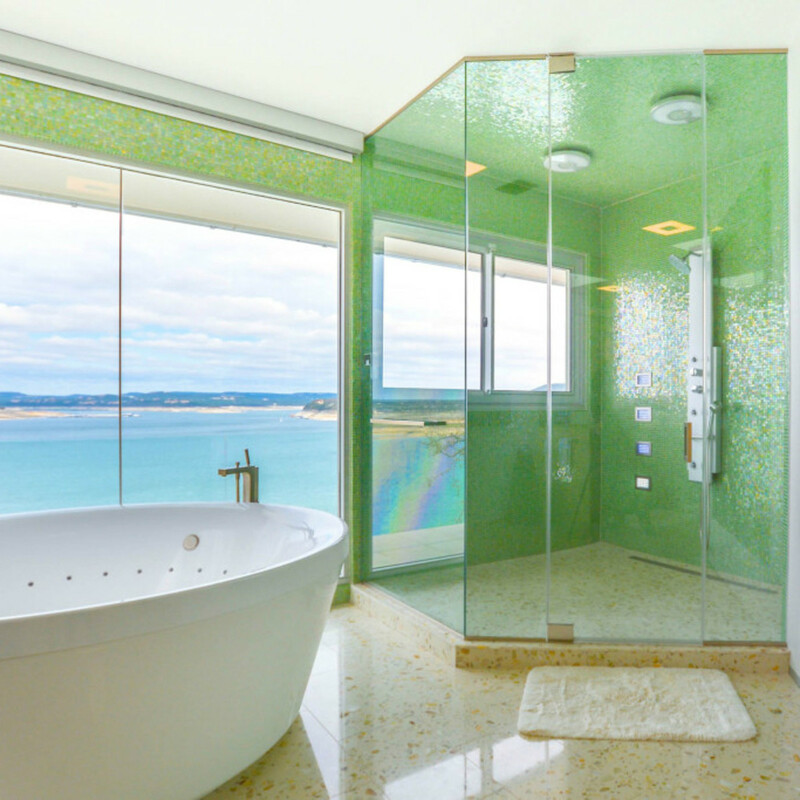 The spacious master suite contains a walk-in closet, walk-in steam shower, large jetted tub, and balcony overlooking the lake. 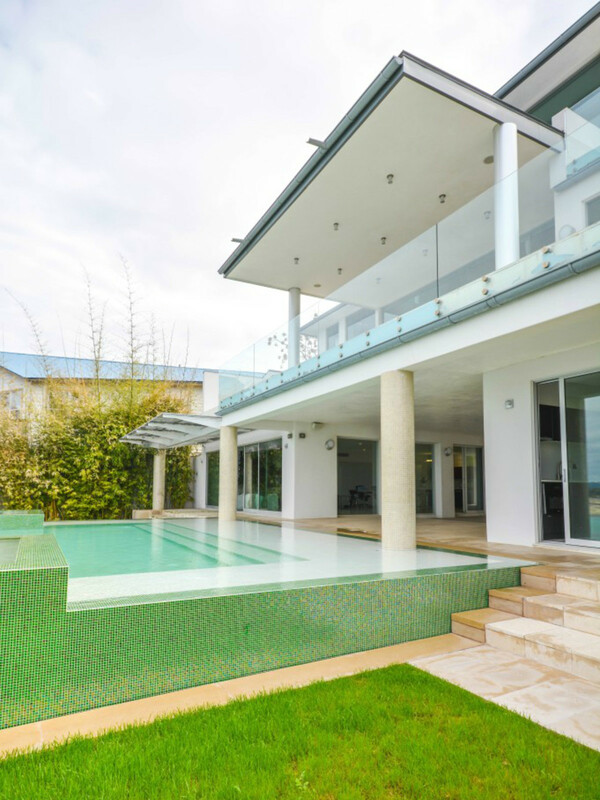 For the ultimate party host, you’ll find an expansive sun deck and infinity-edge pool with dual hot tubs out back. 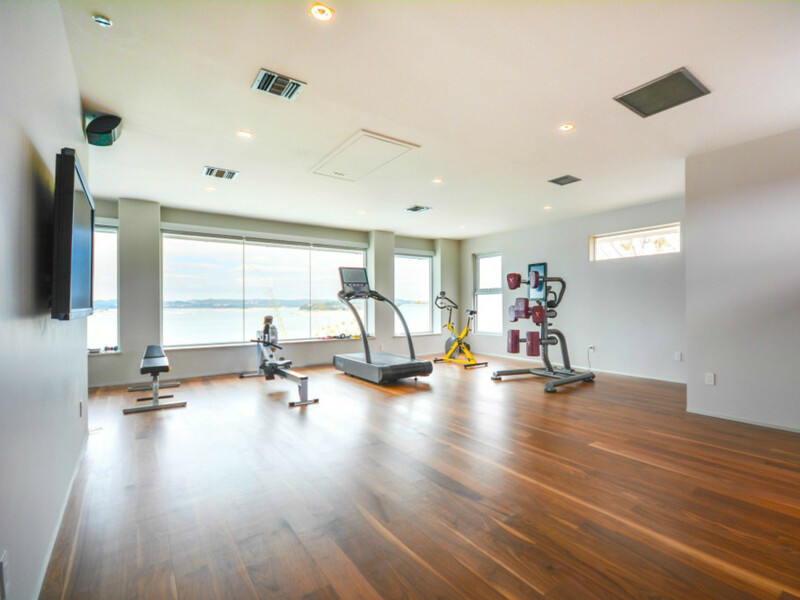 The area also has a pool house, kitchenette, and cryotherapy spa. 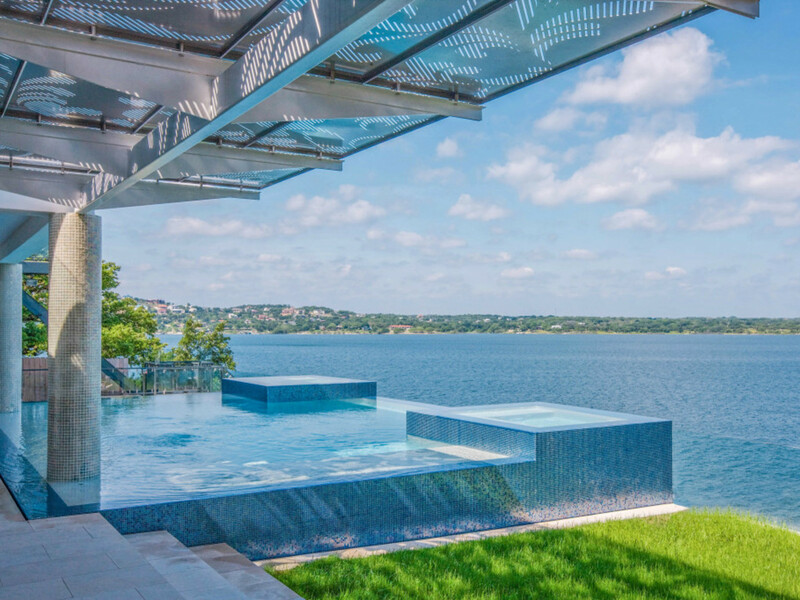 The lawn is fenced off by glass to allow maximum views of the water. 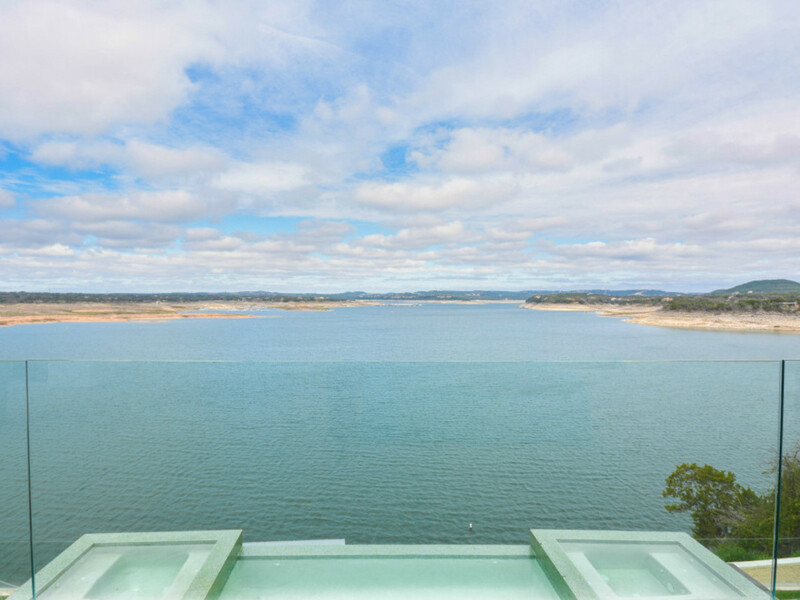 Located along the deepest point of Lake Travis, the property comes complete with an adjustable boat dock, two jet ski ramps, and a second deck to access the lake. 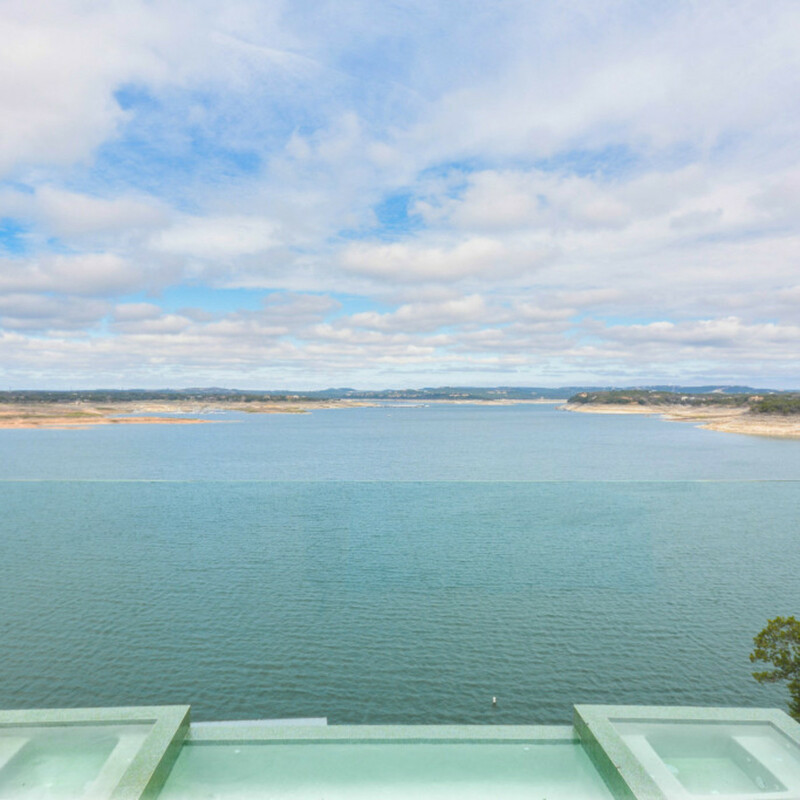 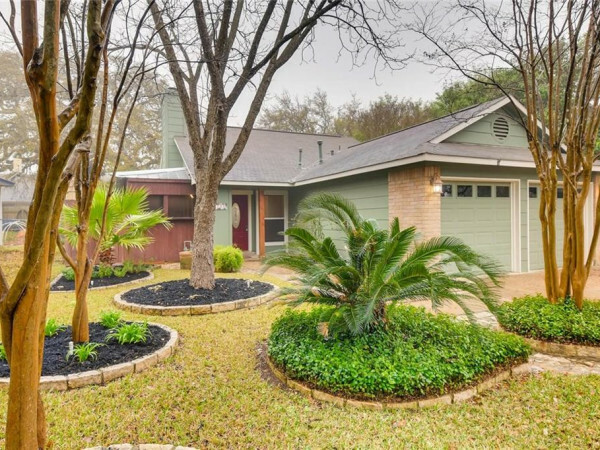 14515 Ridgetop Terrace is on the market for $5 million with DMTX Realty.